Sometimes you just need a little comfort. 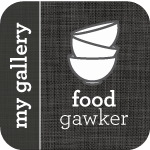 This could be in many different forms – although comforting food seems to be what people gravitate towards when that need exists. No wonder we have such an obesity problem in the United States – comfort food restaurants are everywhere, and unless you choose wisely when to indulge (and maybe balance it out with some exercise), it can be dangerous. I definitely love my comfort good – but all in moderation. Friday night we went to our absolute favorite restaurant/bar in Seattle, and ordinarily I would never order something like this – but it was calling for me. It was a wonderful bowl of carbonara – with a perfectly poached egg on top. I am telling you – this dish of homemade angel hair pasta with the smoky ham – it was decadent, and I enjoyed every single bite. If that wasn’t enough, I had a piece of peanut butter pie for dessert with a small scoop of banana ice-cream. I went all out. The next morning, I couldn’t get to the gym fast enough. Thank goodness for Tabata. But everyone deserves an indulgent night now and then. 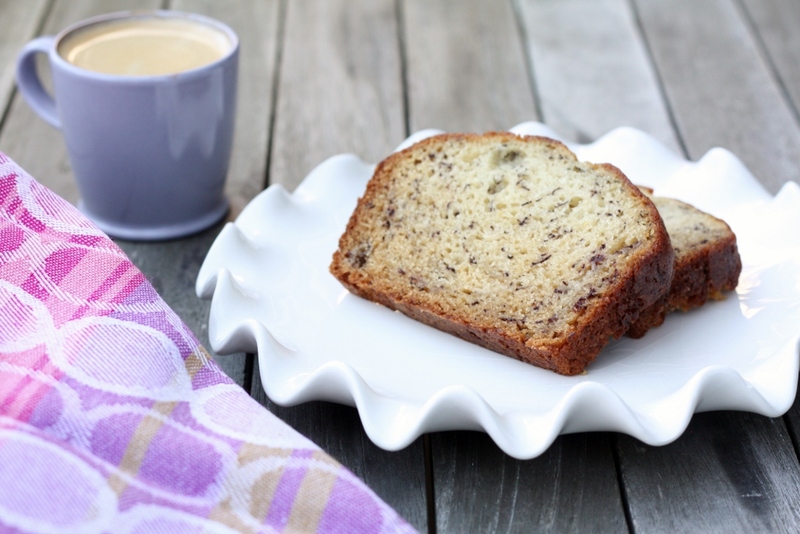 Most of the time what comforts me the most are the simple pleasures – like banana bread. 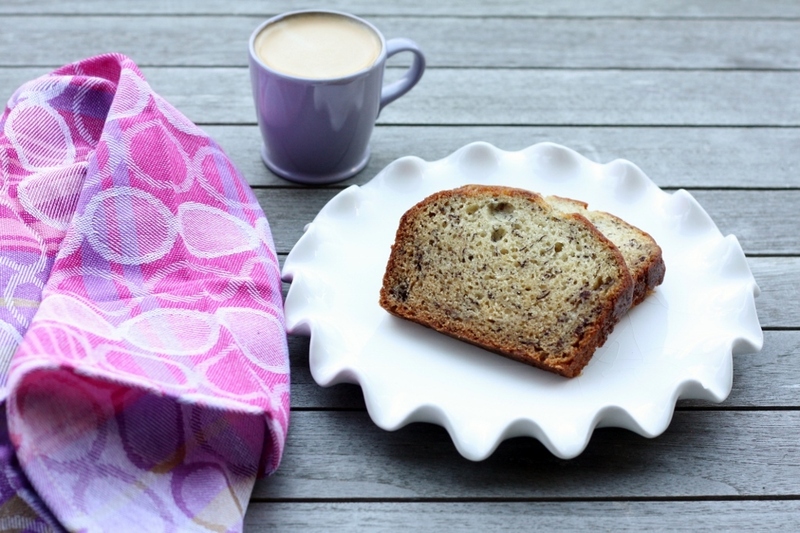 My mother’s banana bread recipe is just as perfect as it could be. Although this time I decided to see if could survive the dairy-free challenge. I substituted coconut milk for buttermilk – and you would have never known. My husband and I couldn’t believe it – this was something he used to be nuts about, and when he gave up dairy, he had to give this up as well. Not anymore though – this is now back in our lives, and better than ever. Thank goodness for the small comforts in life…because seriously, sometimes that’s all you need. Pre-heat oven to 350. Mash bananas with a fork and set aside. Mix oil, sugar, coconut milk, vanilla and eggs well. Add mashed bananas. Mix dry ingredients in a small bowl, and add to banana mixture with nuts (optional) until just combined well. Pour into 2 greased and floured 9 x 5″ loaf pans. Bake for 40-45 minutes, or until a toothpick inserted in the middle comes out clean. Remove from pans while still warm and wrap with plastic. Coconut milk comes to the rescue in many of my recipes too. It is a great milk alternative. Well you know we love your mom’s banana bread. So how did this compare? I’m going to have to try it as we’ve been doing dairy free for a while now. :) And I’m absolutely drooling over the thought of your carbonara pasta dish. OMG!!! !